What is Wharfe Valley Learning Partnership? took this collaboration further in January 2014 by setting up Wharfe Valley Learning Partnership. The Partnership enables each school to keep its unique identity and autonomy, whilst simultaneously working closely together to secure the best outcomes for our children and young people. 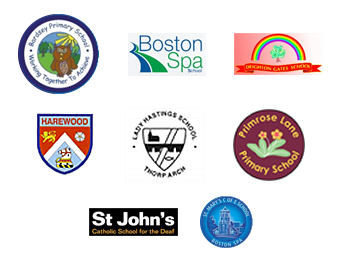 The Governing Bodies of these schools believe that a partnership of this kind is the best way to ensure the long term, sustainable collaboration that is required to meet our common aims. The success of the WVLP has occurred because at our heart we are all schools that recognise that great things happen when good organisations come together. It has taken some boldness and courage to work in this way, but doing so has definitely brought confidence and optimism to our practice. The successful collaborative approach that underpins our work has been much admired by colleagues across the city. Challenging times in education mean that there are ever constant demands on school finance, staffing and training. The partnership has enabled the schools to come together to share expertise and resources for the benefit of all our children and staff. In times of transition, we are also able to support each other. As new headteachers come into post in some of our schools, we will be able to work together, not only to directly support these colleagues, but also to help make this period of change smoother for children, staff, governors and parents. Building on the success of previous joint training initiatives, the WVLP primary schools have planned a series of bespoke training sessions for teachers throughout the 2017-18 academic year. The upcoming training is designed to further build and strengthen the existing assessment and moderation practices across WVLP schools and will be facilitated by the Leeds City Council Assessment Team. Each of the sessions will be carefully tailored to meet the needs of our staff; the schools are looking forward to making a start on this new training collaboration and for us, it will underpin our work on Priority 4 of our School Development Plan.